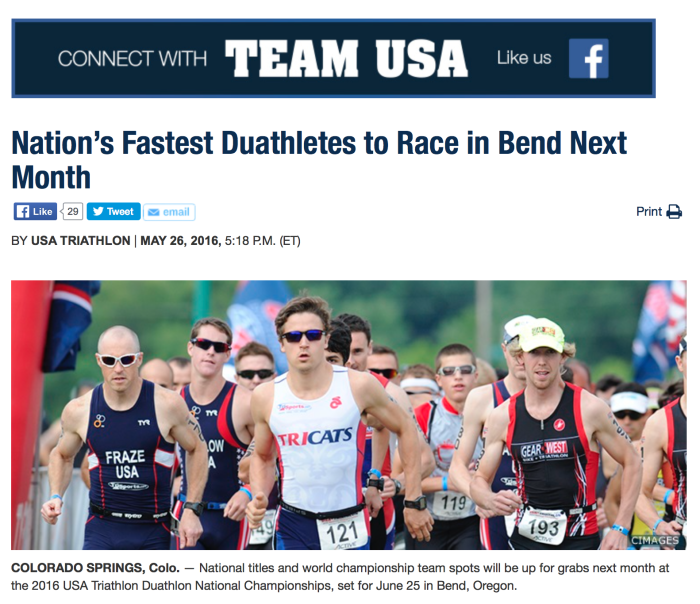 Three days from today is the USA Triathlon Duathlon National Championship in Bend Oregon. When I saw this web posting I started to wonder why am I racing. I am hardly one of the nations fastest duathletes. When I decided in March to enter, I realized there was no chance to get on the podium. The fastest times last year for my age group were running faster than I could run in my 30’s. But I was pretty good at running when I ran the Boston Marathon in 2007. So I looked at the last place times and figure I could probably beat that, but based on my current speed, I am not so sure. Still, I am excited to be participating. It is going to be a cold start, maybe in the high 40’s. Putting in the training for this event has been more difficult than I expected. It has been awhile since I did serious training for running and the speed didn’t come back quite like I expected. Even worse is I was pushing the speed work too much and ended up getting a groin sprain, just before the Sand Hollow Duathlon. I was able to compete in that event but it might have made the injury worse. So I had to back off the running speed work and also back off cycling even more than I had. This chart shows the interval training running 10 x 1/3 mile intervals. I was making some good progress until I got injured late May. By the time I was able to do speed work again, I had slowed to where I was when I started. It has only been the last couple of weeks where I was able to get back on track. I lost 2 or 3 weeks of training. Although I am happy getting down to about a 7:30 pace for the intervals, I use to be able to run a half marathon at close to that pace. While my running has not improved as I had hoped, my cycling has declined since March because I had to focus on running, which had become my weakness rather than my strength. I finally went out and did a set of 3 minute intervals on the bike. The results were not very encouraging, but I may have just had an off day. I saw this article by a coach who is racing himself, along with two of his athletes, one a national champion. He had 5 points for preparation. 1. Focus on making your weakness your strength. I did that by focus on running although it did cost me on cycling. 2. Add brick workouts to your training. I have done brick load of brick workouts and have a good feel of how I will feel when I start biking after running and start running after biking. 3. Practice transition. 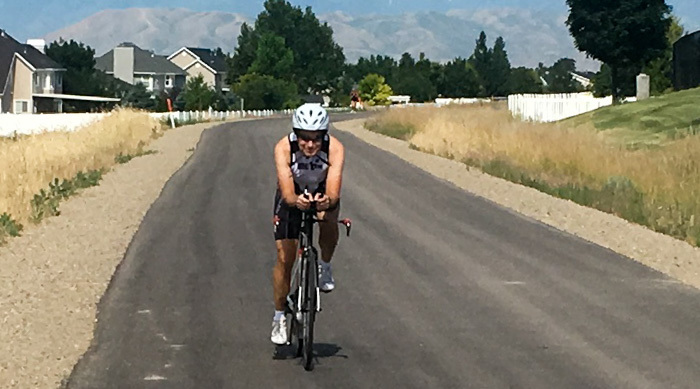 I did one duathlon for training and have done several transitions as part of my brick workouts to practice the transition. Today I did a dry run of the duathlon, using all the gear, except my runs were just about 50 yards and my bike was easy since I am tapering. 4. Don’t wait until race day to figure out the best hydration and nutrition strategy. I think I have a plan and tested it today on a long ride. 5. Come up with your own mantra. Not sure what my mantra should be. “Don’t Finish Last” doesn’t seem very inspiring. Anne suggested “I Can Do Hard Things”. I think I will use that but change it to “I Can Do Hard Things Fast” and I also plan to have a lot of fun. I signed up for a couple Duathlons this summer. The first one, a local event, is in a week so I moved my Enve carbon tubular wheels over to my Trek Speed Concept bike. Moving the wheels was easy enough but changing the brake pads to carbon specific pads was much harder than on a regular road bike. I guess that is the price you pay to have an aero bike that takes great efforts to make things as aero as possible. Things were also made more difficult by the difference in clearance between the Bontrager brake shoes and typical Shimano brake pads. Things were such a tight fit I had to remove the entire brake shoe from the bike to do the swap. That meant removing the covers for both the front on rear brakes to get easy access to do the swap and to make sure I had the brake shoes aligned up correctly. So how fast is the Speed Concept? 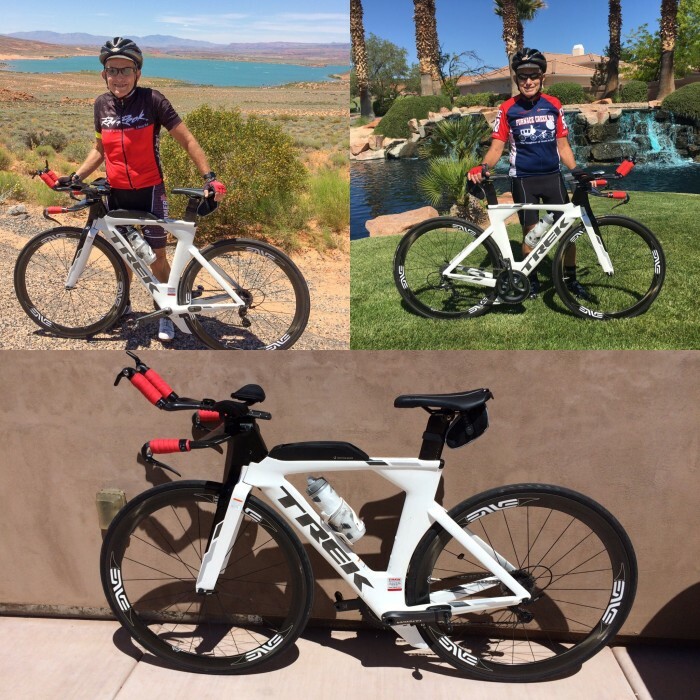 I think it is fast but even though I have taken it on several rides, totaling over 300 miles, I was not sure I am much faster than on my Trek Domane. The race in one week is mostly part of my training program and even though it has steep one mile climb I plan to use my Speed Concept to get the full experience. My real target is the Nationals Duathlon Championship in Bend Oregon, the last Saturday in June. They finally posted the course description. It looks like about 2.2% average grade for 6.5 miles where you turn around and go down to the start. You repeat this lap again for about 1500 feet of climbing over 40K. I started to wonder if using my lighter road bike would be better than the Speed Concept so I did some estimates. Using my weight and the 19 lb Speed Concept, assuming I stay in the aerobars, putting out 160 watts on the uphill and 130 watts on the downhill, I used a very useful Bicycle Calculator to get these values for the outbound and return. If you add the outbound and return together and double for the two laps, you get this comparison for the Speed Concept time trial bike vs. my lighter Trek Domane road bike. This means for 40K the Speed Concept could be upwards of 12 minutes faster than my lighter road bike, which of course assumes I am in the aero position for the entire time. Not only is it faster, I use less energy so have more left for the final 5K run. This also doesn’t consider all the aerodynamic advantages of the Speed Concept over the Domane. So the money I spent on this new bike should bring some significant speed improvement assume ideal conditions. I only wish I could spend money to improve my running speed by the same amount of time. Why is it those things that are the least fun, often the most beneficial? So it is doing intervals, both running and cycling. For the past couple of years I have avoid them and although I have been able to keep things reasonably fast, I know that as I get ready to race, I need to go back to speed work. Running intervals is a much easier thing in terms of measuring your improvement because you are basically looking at pace. When you bike, speed is no longer a reliable indicator because the terrain and the wind have such a big effect. This is where a power meter comes in, where you can measure your average power for each interval. Since we moved the last time I subjected myself to this torture, I have to use a different route than in the past, and nothing here is very flat. But with a power meter I can still make a comparison. I also changed my approach. 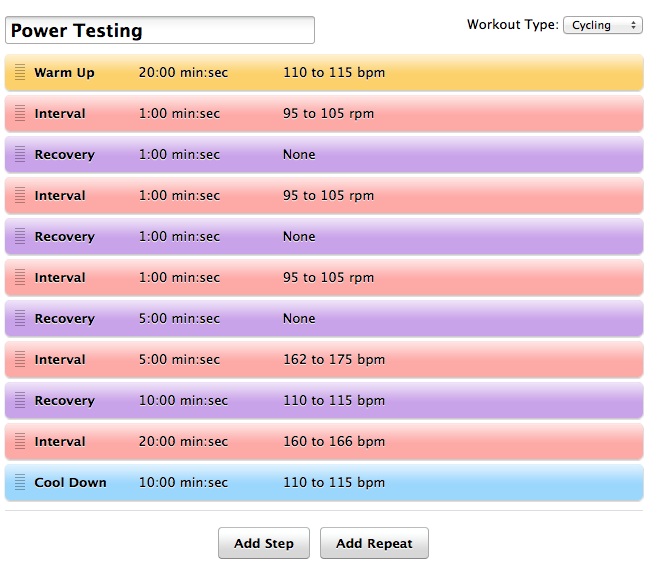 Instead of doing 4 intervals of 7 minutes, with a 3.5 minute recovery, I changed to do 3 minute intervals, 9 times. I did a 2 minute recovery between intervals, except to break things up into 3 sets of 3 intervals, I had double recovery between sets. This is how I did. So not up to the peak I reached 3 years ago, I am not in too bad of shape. As I am now training for a big race, I will plot things to see how they improve. If I didn’t have a power meter, and plotted speed. the chart would have looked like this. It would appear that I had lost a lot of conditioning, but the power meter tells me that is not the case. 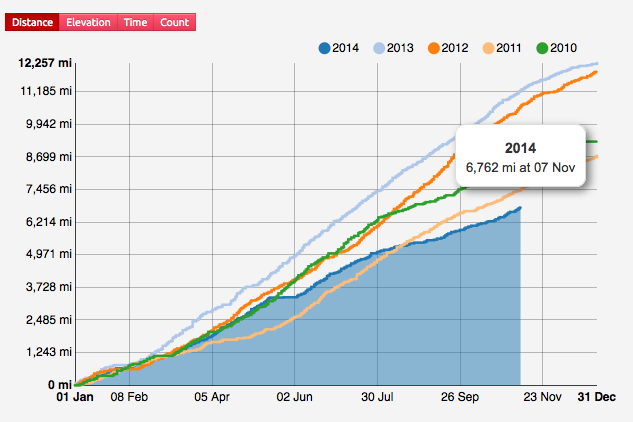 We are now down to about 7 weeks left in the year and I am way behind in my cycling miles compared with prior years. Last year I exceeded 12,000 miles for the first time. It started in May when we went on a European cruise. Then we decided to move to Utah and it seemed harder to find time to bike much. Now that we have settled down, I have been doing a bit better, but I don’t think I can even catch my prior worse year of 2011. Weigh is up and mileage is down == slow rider. Strava is a great website that uses your GPS based device, including Garmin sports devices and smartphones, to track all of your cycling and running. It is constantly adding new features for both their free and premium memberships. 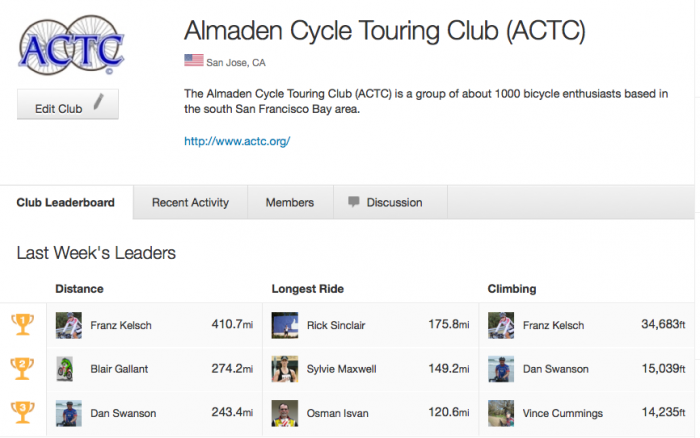 For some time you have been able to join a club on Strava. These clubs have been usually created based on an actual bicycle club, but others are based around something else in common. 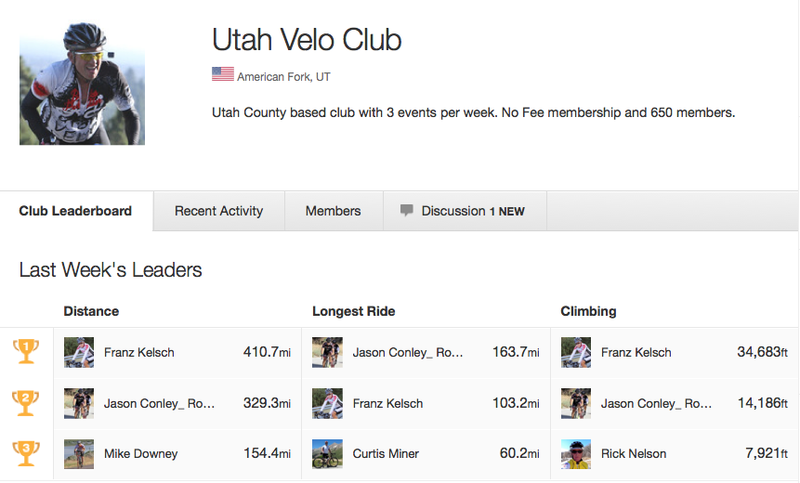 I belong to four different bicycle clubs and have therefore joined all of them on Strava. I also joined other clubs or groups. 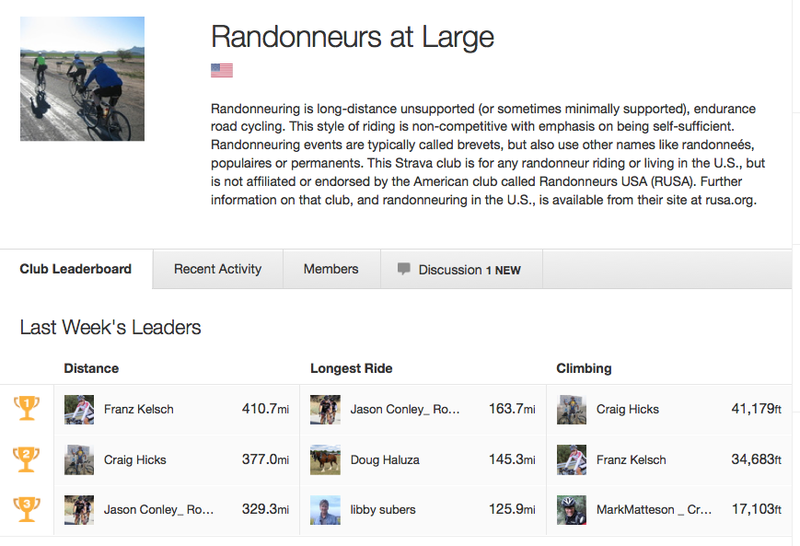 You have always been able to compare yourself to others who have aligned themselves with that club on Strava but they now have added a new Leader board feature. Some clubs have extensive statistics, but only for club rides. Many of us don’t just ride with one club so I much prefer Strava where it counts all my rides, including when I ride by myself. 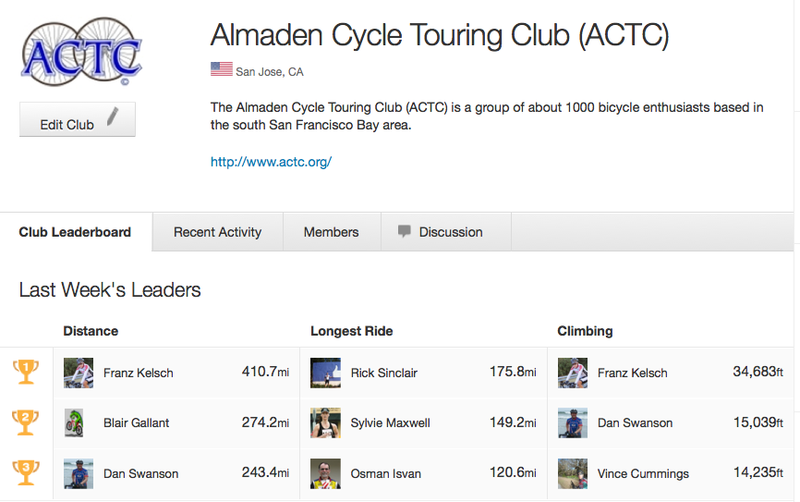 Here are the leader boards for the four bicycle clubs I belong to plus two other groups. I finished the 15 day Strava Eurosport Veulta Skelta challenge. This challenge was to climb 7,135 meters in 15 days, starting September 1, 2013. I finished by reaching move than double the challenge amount. Although that only was 273rd position on the entire leader-board of nearly 10,000 participants, I had the most for all the people I follow and also for my age group. 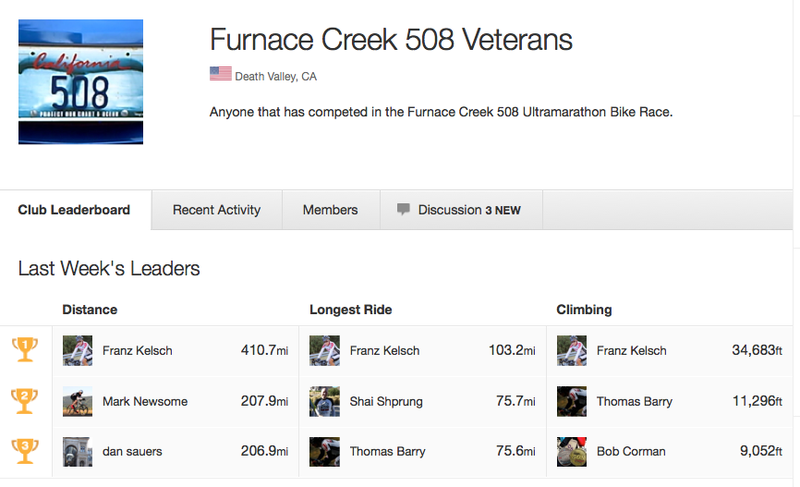 That is rare for any Strava Challenge since I follow some cyclists who do a lot of biking and many are training for the upcoming Furnace Creek 508. Since there was not nearly as much study on interval training for the bike as there has been with running, I adapted my running training over to the bike. For marathon training I found mile repeats and half mile repeats to be a good workout, while doing 400 meter repeats for a short race. So on the bike I used 7 minute or 3.5 minute intervals followed by half that time for a rest interval, and would repeat 4 times. Many cyclists use a much short interval length. Of course the length of the interval, it’s intensity, and the rest interval, will all be a factor on what aspect you are trying to improve. Some research suggests an Ultimate Interval length based off your T-Max. Before I get into the details, let me first make a case of why you should have a power meter to do this, although at the end I do offer some suggestions for those who do not have a power meter. With running, it is easy to see your progress by watching your pace for the interval splits. But with a bike, your speed is dependent on much more than just how much effort your are putting in. 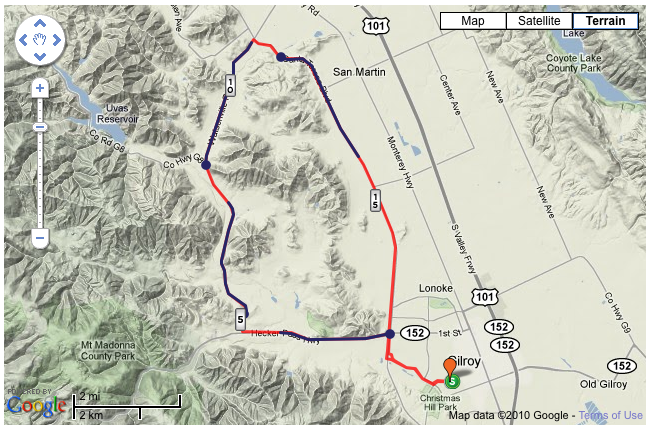 I tried to use a repeatable, mostly circular course to cancel out the effects of wind and incline. I figured if I averaged my speed during all the intervals that would be an indication of my fitness. However since I started to train with a power meter, I see that my prior approach is not sufficient. Take a look at this graph of four workouts done this year, the last few using a Power Meter. If I based my estimate only on speed I would have thought I had declined during the last interval workout, but I actually improved by looking at the average power of the intervals. Now that I have the advantage of using a Power Meter, I can change the interval approach and not try to just do the same course and interval length. Some studies point to what is referred to as T-Max interval as the basis for the ultimate interval. See this article in Bicycling Magazine. 1. First you need to determine your Peak Power Output (PPO) by starting out cycling at 100 watts, increasing your power by 30 watts every minute until you reach exhaustion. You can go by your own feeling on what that point is, or some use a benchmark as when your cadence drops below 60 rpm. 2. Rest for one or two days, then after a warmup, start your timer and ride at your previously determined PPO until you can no longer sustain that power level. The amount of time you were able to hold your PPO is your T-Max. For most people that is around four to six minutes. 3. For the Ultimate Interval, use 60% of your T-Max for the interval length and twice that for the rest interval. So if you were able to hold your PPO for 6 minutes, you would use an interval length of 3.5 minutes followed by a rest interval of 7 minutes. This is the opposite of what I have been doing. 4. When doing the intervals take your power to your PPO and hold it there for the interval length (60% of your T-Max), then rest for twice the length, letting your heart rate decline down to about 60% of your maximum heart rate. 5. Start out with two to three intervals, doing two sessions a week. Try to build up to six to eight sets twice a week, with at least two days of spinning or rest between. Without a Power Meter you will need to just use a nominal interval length, in the range of 2.5 to 3.5 minutes and a rest interval twice as long. When doing the intervals take your heart rate to 95-100 percent of your maximum heart rate. The recovery period should be at 60% of your maximum heart rate. My maximum heart rate is 176 so for the interval I would try to get over 167 bpm and for the rest interval I would be at 105 bpm, which is pretty much how I have been doing intervals. The original entry was published on September 1, 2012. Since then, Strava has made it possible for Premium members to change their heart rate zones. I have updated this post accordingly. 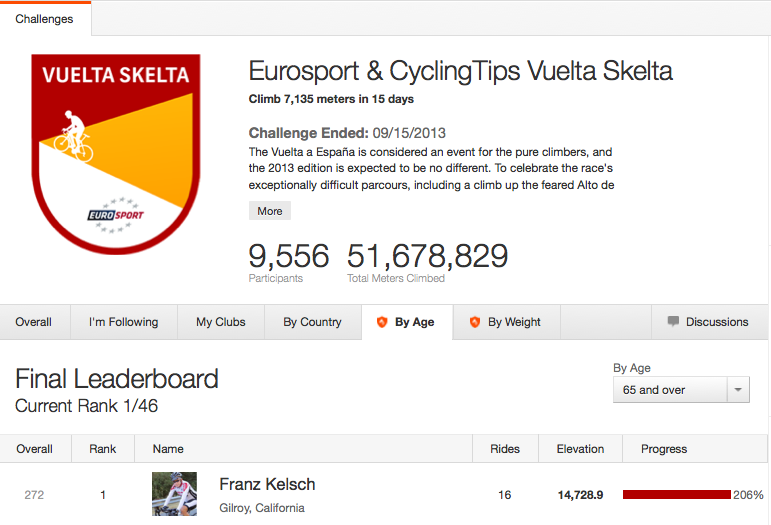 One of the features of a premium account on Strava is the so called Suffer Score that it will compute for you after each run or ride. It will only be able to calculate this if you are recording your heart rate because it uses the heart rate compared with your heart rate zones to calculate the suffer score. For a detailed analysis of what goes into this see Strava Suffer Score decoded, a post written by a friend Dan Connelley. 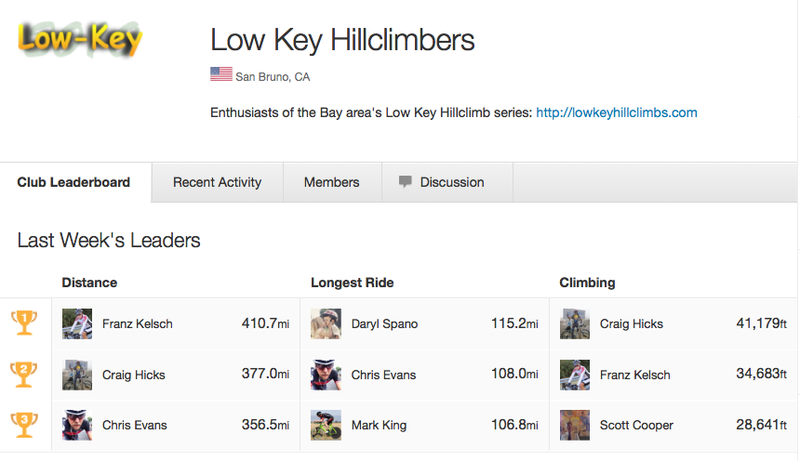 Strava now allows Premium members the ability to edit your heart rate zones. 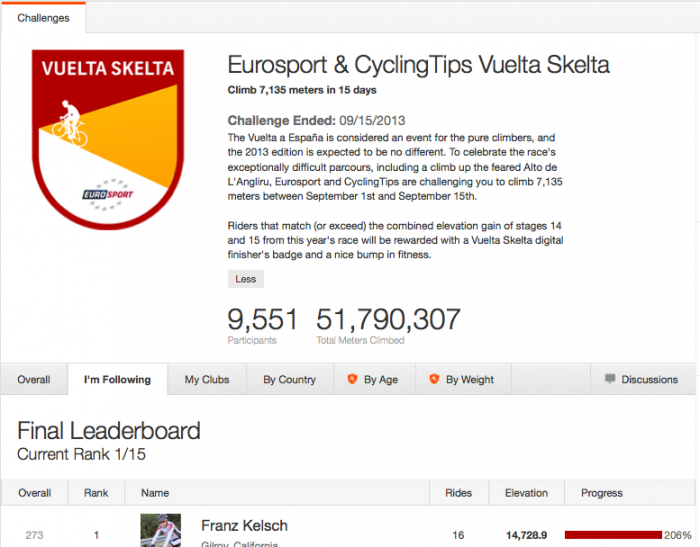 If you accept the defaults that Strava offers, your Suffer Factor might be misleading. I have done a lot of research on how different coaches recommend setting heart rate zones but no one would put an anaerobic zone starting at 169+ for a maximum heart rate of 175. Besides, I know that is not the case for me. Instead of changed the heart rate zones so Zone 5 now starts at 163 not 169. See my article that compares several methods. Note once you change your zones in Strava, it will use on a going forward basis and will not change your prior suffer scores. I suppose that there there is a correlation between suffer score on Strava and how much you suffered on a ride. But that does not mean a higher suffer score correlates with better performance in terms of speed/distance. This was apparent on today’s ride, which had a suffer score of 360. I sorted my activities in Strava over the past 3 years by suffer score and looked at all of them over 400. 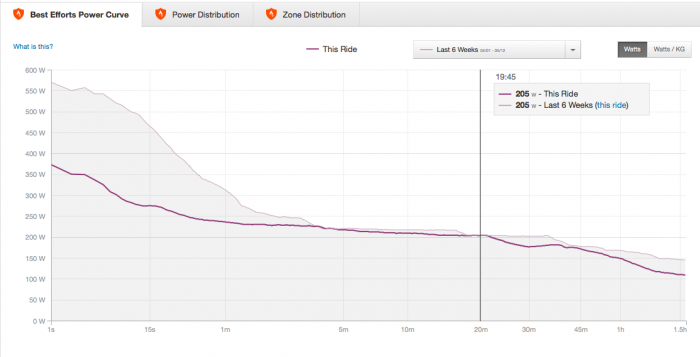 I think the ride where I suffered the most was the on on 7/7/10, but it has the lowest suffer score on this chart. But then that was done before I was able to change my heart rate zones. For the two recent double centuries, the one on Knoxville cause me far more suffering that the one for Solvang, but the suffer scores are not that much different. The suffer score seems to be heavily weighted toward long duration but for some individuals a long ride does not mean suffering, especially if done at a moderate pace. I therefore consider suffer score just a fun thing to look at and probably a motivator for many people so overall I think it is a good thing. 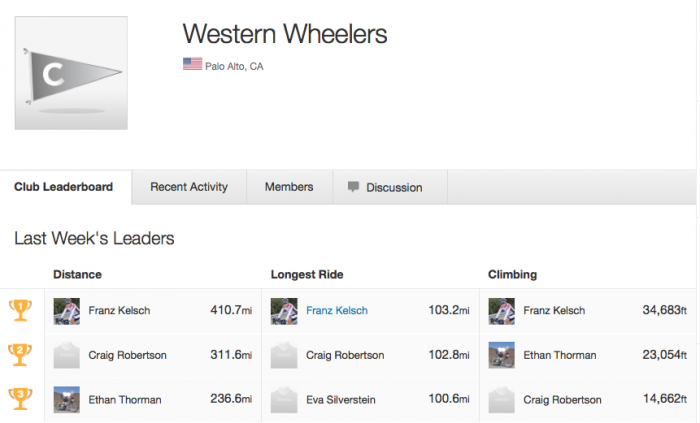 Strava might consider to look at some other measurement score that could help us with our training, but that might require a power meter which most users do not have. 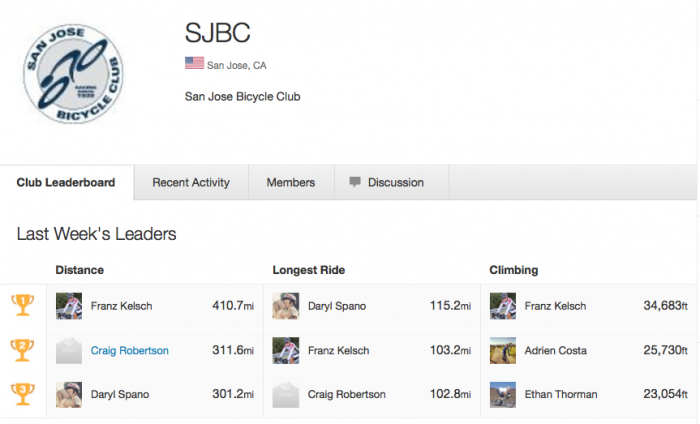 For those who have a power meter, Strava now offers several new tools to look at, including Training Load and a Fitness and Freshness page. Once you start to accumulate data from a power meter you will be able to better understand your rides, far more than the Suffer Score will provide. I have been doing intervals on the bike periodically. I usually a a series of 4 repeats of 7 minutes followed by about a 3.5 minute cool-down. Before I acquired a power meter it was difficult to see if I was really improving. With running you can pretty much see your improvement with your pace for each interval, on a bike there are a lot of things that affect your speed besides what you are putting out. So I picked a relatively flat course that included a couple miles of warm-up from our house and then a straight shot, with no need for stop signs or traffic lights during each of the 7 minute intervals. The blue sections on the map are the intervals done at speed and the red sections the recovery portions. By using a circular course I tried to average out the affect of wind. I have data from 15 workouts, the first in March 2008 and the 15th today but this workout was the first one using a Power Meter and it reveals some information I did not realize before. I have been plotting out my average speed for the intervals, along with my average heart rate and maximum heart rate. With the new information I have added Normalized Power average for the lap. Since I only have power for this one workout, I used the Strava estimated power for the past couple of interval workouts so I can kind of see how things are changing. Since Strava estimates are not that good, once I do more interval workouts with a power meter I can remove those Strava estimates. When you look at overall averages of all 4 intervals, there is a relatively good correlation between speed and heart rate, except in the period 2010-2011 when I was on a beta blocker. Power also seems to somewhat follow the same pattern. What I did learn, however, was that there much less correlation between the individual intervals of a workout. Typically the 4th segment is done at the fastest speed, but that has more to do with the prevailing winds and topography than with my actual effort. Today for that 4th interval segment I averaged my best speed of 22 mph, but my normalized power dropped from 219 watts for the first interval to only 142 watts. I also learned that I can not put out the same type of power level when I am riding flat compared with climbing, even though my heart rate is high. When I am with a fast group on the flats I have a hard time keeping up until we hit the hill where I can go ahead. I just thought that was because I was a light weight guy, but now I realize that I am not generating as many watts while riding flat, for the same perceived effort, as when climbing. 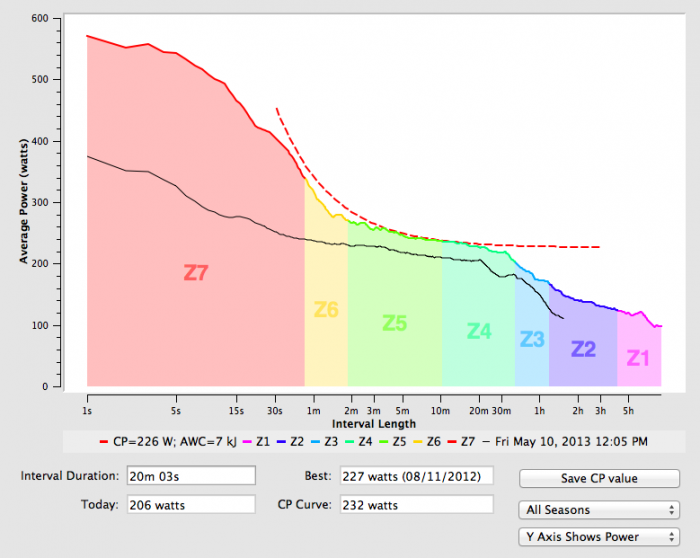 Last week I was able to average 235 watts for 20 minutes while climbing Henry Coe. But today my best interval of 7 minutes was only 219 watts and the rest of the intervals were below 200 watts. This is not a matter of aerodynamics because I am looking a power, not just speed. It has to do with my riding style and not putting as much power to the pedal on the flats as I do while climbing, where I often stand a lot. It is clear that training with a Power Meter is a great aid and it has helped me to see some things I did not realize before when I was just looking at speed and heart rate. Threshold – What is it? The term “threshold” is used in many ways in terms of sports and endurance, such as anaerobic threshold (AT), lactate threshold (LT), maximal lactate steady state (MLSS), onset of blood lactate (OBLA). Exercise physiologists have known for a long time that as you increase the intensity of exercise you reach a point where lactate begins to accumulate in a person’s blood, and this their LT. It is an indicator of the athlete’s endurance ability. Lactate is a good thing since it is a fuel for the body during exercise, but when you create more than you can use, it builds up in your muscles and will limit what you can do. For cyclists who use a Power Meter, this same threshold concept is called FTP, or Functional Threshold Power. Just as you might see what heart rate you can hold for 1 hour to determine your LT, FTP can be determined by seeing what power you can average for a one hour time trial. Knowing your FTP can allow you to set power zones for training, similar to heart rate zones. In the book “Training and Racing with a Power Meter” by Hunter Allen, and Andy Coggan, a test protocol is provided to determine your FTP. Not many want to do a one hour time trail periodically just to get this number so their test involves a series of steps, leading up to a 20 minute section where you try to go close to your threshold. From this test, you can determine your FTP. The first time I did this test last year, I wrote it out on a piece of paper and taped it to my handlebars, trying to read the next step while I was in the middle of an intense setp. The Workout Feature of the Garmin Edge products makes this so much better. The first step is to log into Garmin Connect and set up a new workout. Using the test protocol, I added 11 steps. This way I can use the Garmin Edge 800/810 to guide me through each step. Note for each step I selected the time and what to measure. During the warmup I wanted to keep my heart rate in the range of 110 to 115 bpm, so that was the first step. The test protocol includes some one minute segments at high cadence, so I selected cadence between 95 and 105 for one minute for those steps, and so forth. For some steps I could either set a target for Power or Heart Rate but I decided to use Heart Rate since I am more familiar with my threshold for that. Once you have the workout setup in Garmin Connect, you connect your Garmin Edge 810 to your computer and send the workout to it. Next pick the route to do the workout on. Ideally it will be one where you can ride without stopping. For me, I prefer to do the two segments where I need to get my heart rate up high to be on a hill climb. The only negative is that I need to do a recovery 10 minutes while climbing, but that worked out okay for me. I decided to do the test riding from home, and then climbing Squaw Peak in Utah. This allowed me to do the warmup steps on the way the the climb. You could decide to do all of the steps on a bike trainer, but that would not be very interesting to me. Now you are ready to run the test protocol, letting the Garmin guide you through each step. The workout screen includes a count down time, and the parameters you are trying to achieve, in this case I was on step 10, trying to hold my heart rate just below threshold for 20 minutes. If I am in the desired zone, a message will show at the bottom, then disappear. If I am outside the desired range for that step I will get a similar message. These messages at the bottom auto clear. The main screen shows your current step at the top, the prior step and your next step below. When I reach the end of one step, a message at the bottom appears briefly with details of the new step, telling me to speed up or slow down to get into the desired range. A simple approach when you finished is to see the average power you generated during the 20 minute test. Your FTP will be about 5% below that since the FTP is for a full hour. Since I ended up with 206 watts for 20 minutes, that means a FTP at my current condition of 206 – (206 x .05) = 196 watts. Remember that watts is not as important as watts per kg, and since I am a lightweight small guy, 196 watts is much better than it would be for a large cyclists, who needs to put out more watts to go as fast, especially on a hill climb. If you are a STRAVA user, you can get these type of plots. Here the current ride, or this test is plotted against my best power vs. time over the last six weeks. The test was successful because the average power for 20 minutes was just as high as my best for the last 6 weeks. The test protocol is not to see how much power you can put out for 5 minutes or 5 seconds, but to determine your FTP, or threshold by using a 20 minute segment. Another good program (free) is Golden Cheetah. Load the ride into this program and you get all types of analytical tools. From the plot below you can see that my 20 minute critical power is below what I did last year. It is a clear indication that I am not in the same condition as my best condition last year where you FTP was at least 20 watts higher. Hunter recommends that you run this test protocol a few times a year to determine your current condition. Using the workout feature in Garmin Connect and the Garmin Edge 810, you can easily do this and the test is set so it is not as exhausting as trying to do a one hour time trail. Just using a heart rate alone makes it difficult to determine fitness since your heart rate is not a direct measurement of your power output, being affected by things such as fatigue and other physiological aspects. That is what the Power Meter is becoming so popular with cyclists.